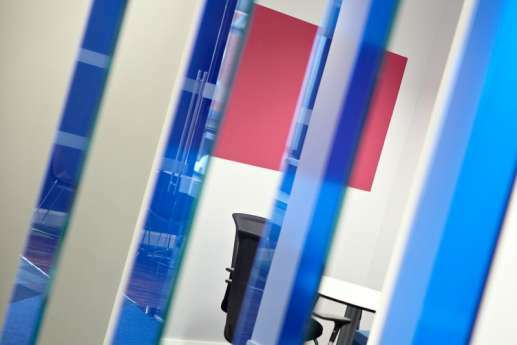 In a new 12-storey office building near Birmingham’s historic Jewellery Quarter, we created the ‘wow’ factor for this leading pension management firm. 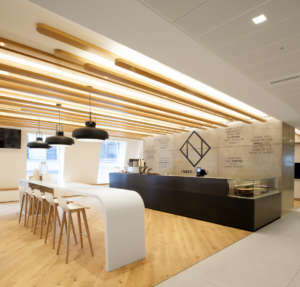 Our design brief was to reflect Hymans Robertson’s corporate standing, and to replicate a number of areas in the firm’s London office. 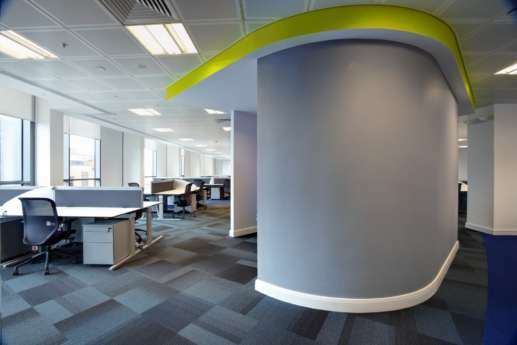 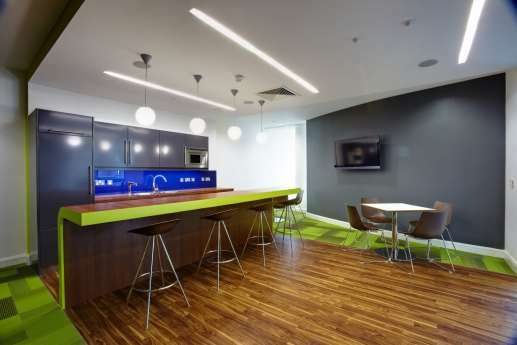 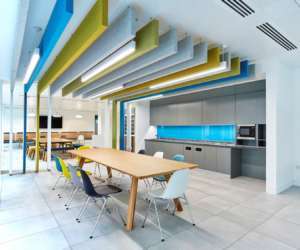 We also injected some colour into the scheme, giving the Birmingham office its own identity within the corporate style. 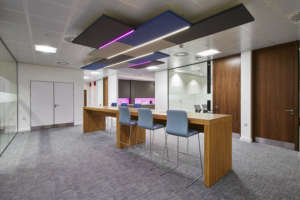 We developed a suite of high acoustic rated meeting rooms, leading off a feature reception. 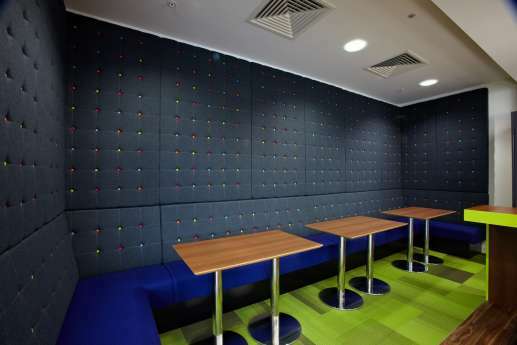 To absorb sound, we used acoustic architectural panels. 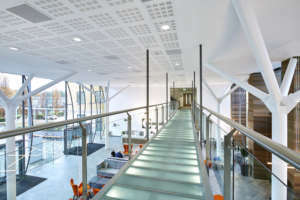 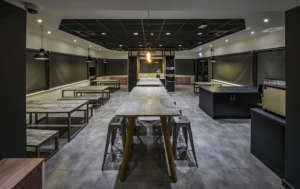 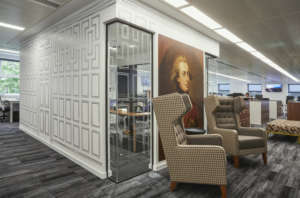 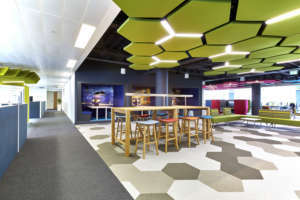 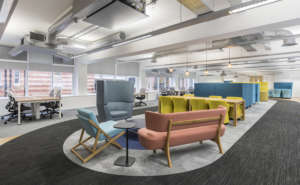 We also furnished the open-plan office, and installed a breakout area with a floor-to-ceiling upholstered wall – a stunning talking point for staff and visitors.